Kimia Hamidi is Co-founder of rapidly growing content automation SaaS company Ghostit. He’s also still a student finishing up a degree in Economics. 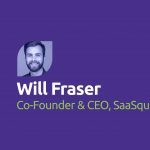 How and why did Kimia get started in SaaS? 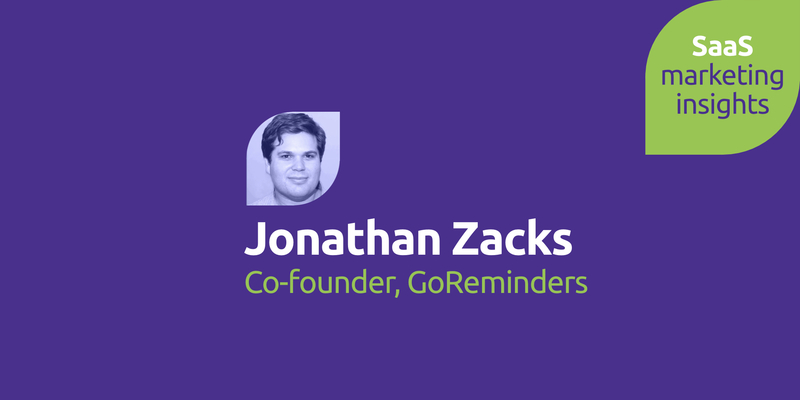 And what did he learn in bootstrapping Ghostit from nothing to becoming Product Hunt product of the day? Paul: On today’s show I have an interview with Kimia Hamidi, Co-founder and CEO at content marketing solution: Ghostit. 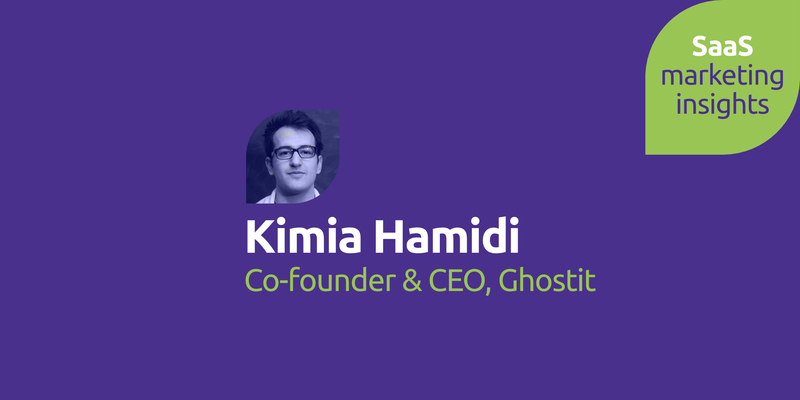 Today I’m pleased to have Kimia Hamidi from Ghostit and you’re the Co-founder and CEO right? Paul: So start off by telling us how you got started in the world of SaaS because you’re a pretty young guy? Kimia: Yeah it was a sort of by my own volition, the dream was corporate law. So essentially out of business school I was gonna go into corporate law and I was gonna be the corporate lawyer, I wanted to be a lawyer before suits came out. I just I networked so hard, I had a stack of legal business cards like this thick which is not a challenge, you just ask for their business card but I weaseled my way into this one networking event. It was a networking event in Vancouver where there were entrepreneurs and lawyers and they were soliciting business from the entrepreneurs and and vice versa. I spoke to Ken from Procurify and basically what they do is financial optimization software where it’s you’re spending too much here you can spend a little bit more here that kind of thing. The realization out of our talk was you can create something from nothing so valuable that people will pay for it, he’s got contracts with Boeing, they’re killing it, they’re absolutely killing it and that blew my mind. Paul: You had this light bulb moment. Kimia: Yeah it was it was incredible cuz I was like, I have this horrible thing in my career where I say how hard can it be, I can do that. It’s incredibly hard, I say how hard can that be, I can put a team together I can do this, I’m competent and that kicked off my journey. That’s kind of what led me into playing around with a few ideas which I eventually executed on one but we’ll dive into that later. Paul: Sure so your current business is Ghostit, I say current because there’s probably more in the pipeline right? Kimia: Yeah, we’ll see. Well it’s been three so I’ve, to date, I’ve started three companies. The first of which failed the second did okay and I ran into Co-Founder issues so I ended up selling my stake back to the company and currently I’m working on Ghostit and it’s been a phenomenal success. Paul: So who’s your co-founder in Ghostit? Kimia: Rahul Bhatia, so the initial founding was February of 2016 where I came up with the idea and it was between this and student loan refinancing, which are the complete opposite. Paul: This is so much sexier. the last post was May of 2016. Paul: Yeah that might be mine. Kimia: Haha, well come talk to us we’ll help you out. businesses and said would you pay for this? Would you pay for someone to manage your Facebook page? I didn’t collect money which I should have and they said yes and then I connected with Rahul and we’ve obviously grown it far past what it was in the initial idea. Paul: Right so that’s why it started out. So for the benefit of everybody including me, just outline what Ghostit is today in terms of the product and services that you guys offer. So from that content strategy, there’s a bit more to it than that but, from that content strategy a writer’s brief is created which we then give to our in-house writers, initially we were outsourcing all of our writing and we were actually spending too much money on editing the content so we were just losing money. It just didn’t work so we eventually pivoted to hiring our writers in-house, so we give the writer’s brief to the writer, they create all the content and we have our own scheduling software that we load up the social posts, the emails and the blogs into and then automatically post to the business’s channels. So the short version is, if you know HootSuite or Buffer, it’s a HootSuite or Buffer that self fills with original strategic content. Paul: Amazing, I think you know that’s the difference between what you guys are doing. I know for you there’s a lot of work upfront in looking at customer personas, working on the strategy, so you know typically what we’ve seen up until now is a lot of sort of fly-by-night companies that will, they’ll create content for you, it’s 70 cents a word or whatever. Kimia: Thats right, yeah, well good I have a huge gripe against pricing per word, I think it’s garbage because it’s not natural right? So while we do have pricing in a word range, it is very rarely to that, like on our pricing page we say 550 to 750 words but they often end up around mid thousands but we we don’t even count it. Paul: Sure and so you guys have been going since February like last year? Kimia: So that was the idea, that was the original idea and then Rahul came on a month and a half after that because I remember we signed our co-founding agreement in May and then essentially it was us spinning our wheels for the first 8 months. We were just trying to figure it out because we would say, okay you know what we’re just gonna build a social schedule, it’s gonna be our lead magnet and then the social scheduler took way too long to build because neither of us have technical backgrounds. Paul: Yeah because I think when we first met you were still working on it. because what we actually realized was there’s only so many ways to say look at me on social. If you don’t tell the audience where to go or what to do, calls to action/links, you have to pull them out of the social channels which is counterintuitive because we are platform dependent, if Facebook didn’t exist we’d have to find a new medium. If you just post Facebook posts, that doesn’t actually do anything for you, so you have to post links and that’s what got us into blog and that’s what got us into SEO and it’s been growth since there. Then email obviously is another another channel that we use as well. Paul: Yeah, so is the email like a digest of the blog post? Kimia: Yeah, it can be a bunch of different things. We structure the content strategy around the business’s goal so if they’re looking for email signups we’ll add these calls to actions showing on the blog. We have a real estate app company that we work with and their whole goal is to drive email engagement from their subscribers back to the app so we’ll write you know here’s our two favorite blog posts, here’s the newest features of the app you can check them out here. Then we write the calls to action and then we can actually show them click maps of our content and we can see okay people are really responding to the blog because we have a 40% click-through rate, people aren’t really responding for this feature but people love online applications like a 90% click-through rate there and that’s really powerful to the business because then we can create content around that feature. 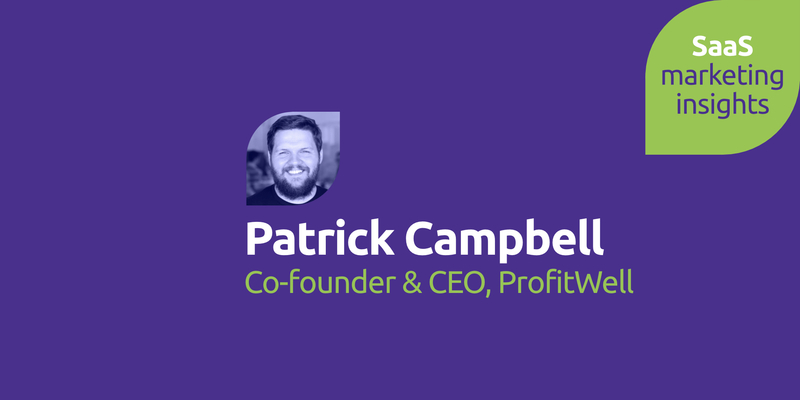 Paul: Obviously you know it’s a kind of SaaS like service you’ve got a tiered pricing model, so where does it start at and how far does it go? Kimia: Yeah, so our pricing is actually very competitive and very easy. We start at $300 a month and that’s an email newsletter, 15 social posts so it’s every other day and the way we pitch it is, if you want to add any social posts that’s a really nice balance, you also get access to the content marketing strategy and then we give you insights on analytics and all that stuff. Then you also get the software right and so that’s the base tier. The next tier up from that is the two blog posts, 15 social posts and a email newsletter, so it’s four units of content which is $500 a month. Then the plan up from that is more blog posts where it’s a blog post a week so four blog posts, all your social channels so 15 Facebook, LinkedIn and Twitter and then an email newsletter and that’s $950 a month. 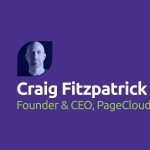 Paul: I think that’s incredible value, how do you, you know, do you limit the amount of words that you’re prepared to write because a blog post could be 300 words – 3000 words? Kimia: Absolutely, yeah, so it really comes down to the goals of the customer and so based on the strategy and that’s another benefit of having our own writers is we can say this is the outline do some research around this, it’s not structured, you’re not trying to get 550 words. Paul: So you’re all about adding value? Do you know what the length is? it’s the right length. Kimia: It’s the right length, exactly. Yeah and so that’s kind of how we think about it because you know we’ve seen businesses that we didn’t expect to see coming through our door and say hey we need help with content strategy, we need help with content marketing and we’ve actually done this exercise where we’ve mapped out what the cost would be to run it, to run Ghostit from zero to one of our plans and just to hire us. What people don’t think about is the management time, if you’re gonna do it yourself you have to, you have to find the freelancer, you have to work out the appropriate rate, you have to give them the content strategy yourself, you then have to check in to see if they’re doing the deadlines. You have to get them to use one of these tools or publish it and so that’s at least you know anywhere from five to fifteen hours a month of just managing that person. Paul: Its opportunity cost right? Kimia: Exactly and so we’ve found a really nice blend where it’s not just a faceless piece of software, there’s a real person writing that content because and I’m sure you’ve seen this in the market right now there are so many pieces of software that help you send better email, that help you schedule all your social posts, that help you write SEO content. What if you don’t know how to write it? It doesn’t do anything for you. enough that it works really well and we also add value but it also pushes itself up with the software. Paul: Fantastic, so maybe we should talk about the kind of companies that you’re working for, the kind of industries, on the face of it, the service you offer is so broad you could work for almost anyone? Kimia: That’s right, which is actually a problem, it’s really bad for our marketing. So we do very well in real estate, I could not tell you why. Paul: Did you just chance upon that? estate companies come to us so we have a lot of property management companies, we have a lot of Realtors themselves. Paul: So how are they hearing about you? Is this just word-of-mouth? Kimia: I think it’s just content. So it’s cuz we obviously use Ghostit for ourselves, it would be very hypocritical if we didn’t. I think with Realtors, the reason why it makes sense to them or you know I could say business professionals as a whole is they’re busy running their thing, their practice, they don’t have time to sit down and create all their content themselves and they know they need to be online because if you think about the brokerage model right. You’re all in the same team but you’re competing against each other and so how do you say I’m better than you without saying I’m better than you? Your online presence and I think that’s why it works really well. Brokerage companies, they understand the value of search and so that’s why they come to, the education bar is so low, people know what content is by now they know they need it and they just can’t execute properly and so I think that’s why they come to us as well. Paul: Great, you guys have sort of built something from nothing. Kimia: That’s right, we’re completely bootstrapped. Paul: Yeah, product-market-fit and it’s all going great guns, so in terms of being really a very new SaaS business what insights have you gained? What have you learnt from the process, I mean probably alot but if you had to boil it down to something simple? much, it’s so important to constantly edit and refine the team and make sure they’re the right fit because there’s no way I can run Ghostit by myself. It’s whether they’re a good culture fit, it’s whether they’re talented and you know, one of the things that we found is 1+1 employees or workers doesn’t necessarily equal 2. Its rarely the case, like it’ll never be that growth, it’s usually like 1+1 equals 1.5 and because we are a SaaS company a great developer is just like do everything you can to retain them. I think we’ve built a really good culture around making sure that the team is valued and their input matters. I strongly believe in team Vito so when we bring someone on we have them meet the team and if anyone says no that’s obviously, that’s down to me to say like I’ve selected my team very carefully, I trust them. I trust my team implicitly because they are building my dream, they’re building something from nothing, I want to reward them for that. Another insight that I’ve found is not everyone has the answer and it’s very easy to think that smart people have the answers to things but a great example of this is VCs anti portfolio right, if you look at all the great investments they’ve missed, VCs are obviously very smart people but they miss, They make bad decision. out well, not to say that I knew the right answer. However, it’s counterintuitive because you should always seek feedback but always take it with grain of salt, it’s a really hard balance. Paul: So one of the cool things that you did quite recently was your product hunt launch, do you wanna talk about that because I think you made a big splash in a short space of time. Kimia: Yeah we did, we did really well and it was very fly by the seat of my pants kind of thing. Paul: That must have been insightful as well because I think we talked about it before and you were telling me how it was a Friday night sort of thing. Kimia: It was ridiculous, so to dive into search on a very surface level, backlinks are important so the more places you can get your link somewhere, it matters. ProductHunt is a very high domain authority website and I was like, you know what, we can serve some other customers you know let’s see what happens on ProductHunt and I was working out of a Starbucks on Friday night. It was like 6 p.m. and I was alone, so Rahul my co-founder he was getting engaged so he was away and the team was kind of doing their own thing and I was like you know what, it’ll be good, i’ll set it up, it will be fine. Paul: What could possibly go wrong? Kimia: Exactly, best-case scenario we get a good backlink, we get a couple sign ups no big deal. We were, in fact we still are running but we were running a trial at the time where it’s 15 social posts, it’s your month of social posts. Paul: So you’re giving something away? their brand and we work with companies from big software companies to small to midsize businesses. In real estate, it’s been hard to pinpoint that down. So we launched, I say what’s the worst that can happen? What can go wrong? So I launched it on ProductHunt, we have the sign up on the homepage get your month free of social posts and I write up the post and I submit it to ProductHunt. I emailed Ryan Hoover, the founder of ProductHunt, I say hey Ryan, congratulations on Ship, because he just launched his product called Ship, this is who I am this is Ghostit, we automate small to medium sized business’s online presence, I would love to hit the front page. He responds within like three minutes ‘yeah, no worries’. In retrospect Friday night is the worst time to launch on ProductHunt because no one’s on ProductHunt and I didn’t think about that and we designed the website and web flow so the notifications were triggered to go to Rahul’s phone and he was obviously out partying because he just go engaged. It’s in Webflows form, Webflow if you’re listening, your forms are bugged, the form submissions don’t show on the back end of the website. Paul: What happens they just go straight to email notifications? Kimia: That’s right, yeah which is not good. I finish up my work, I go home, I finished up a bit more work and then I go to sleep and I wake up in the morning and because I have no boundaries I immediately call Rahul and I say ‘Hey man congratulations, I’m stoked for you but, Ghostit’. Paul: Yeah, guess what I did. Kimia: Guess what I did, exactly and I call him like relatively early, he’s still pretty hungover and I’m like ‘dude we got like seven signups’ and he checks his phone he’s got 54 notifications from Webflow, he’s like, no man we have like 50 signups. I was like oh my god, what the heck so I immediately switch the notification to my phone right and we get 200 signups in 48 hours, we are the product of the day, it was insane, it was crazy. One of the things that I did which may have helped is every time someone prominent up voted me on ProductHunt I would screenshot them with the upload and I would tweet at them and say hey you know Niv, well he up voted us, I said hey Niv thanks for the up vote and he liked that and that got us impress and a little bit of a network effect. content automation company for Realty, we’re you know anywhere from software apps to massive software companies. Paul: So it allowed you to kind of test the business in a whole lot of different sectors, smart move. Kimia: Exactly, yeah it was phenomenal, yeah well I can take all the credit it was completely intentional. Paul: It was thanks to Starbucks Coffee. and you know it’s funny because our initial office for Ghostit was Starbucks. Before we had office space we worked out of Starbucks. Paul: Man maybe that Starbucks is on a lay line or something magical. Kimia: I know, we should move back to that Starbucks, it was great cuz that was the same Starbucks because we worked out of Starbucks for six months like that was our office. We just hustled, it was great. Now obviously we’re still hustling, it’s been crazy, it’s be a wild ride and we’re still growing tremendously quickly. Paul: Yeah, so as I alluded to earlier you’re a young guy, I think you’re still in college technically? Kimia: Ah, unfortunately, yes unfortunately I am so I am studying Economics while also running Ghostit and I have 10 classes left and and I know University is important. So my dad is an immigrant from Iran and he is very ‘get your degree’, still to this day, Ghostit is doing well like no joke, but it’s not good enough for him. So here’s the story so, my dad works in a software security and it was his birthday the other day, we were at a Japanese restaurant and I was telling him like ‘dad, 40% month-over-month growth’, anyone who heard that, that’s really good and so he’s like son that’s great, how’d your mid-term go? I’m like yeah but listen to all these things going on at Ghostit, he’s like here’s what you should do, you should get your degree, get your MBA and go work in the valley for another company. I’m like I have my own company, what are you thinking? I’ve leapfrogged like three of those steps. I’m finishing, I have plans to finish up the degree, I do see the value in economics and I know that being classical trained is important but I’m at the point now where Ghostit is so all-encompassing that I’m taking minimal class, right now I’m only in 2 per semester so it’s a slow grind. Paul: So over this whole journey, obviously you’ve learnt a lot about business, a lot about SaaS, some economics, what would you say, for you and your career development so far has been the biggest personal growth insight? Do you have a habit, something to sharpen your mental saw? Kimia: Yeah much to the chagrin of my girlfriend I am constantly plugged in, podcasts, audiobooks, I’m always reading. I just really enjoy learning about how we can improve Ghostit so whether it’s search, email marketing, social marketing, I just love the space, I’m genuinely interested in seeing what other people are doing. That and put your ego aside because when I first started, my attitude was that I can do this, it’ll be fine and then you get beat down and beat down again and beat down again and you can’t, you cannot have a big ego and also be unbelievably resilient. The best way I would describe myself is I’m unbelievably persistent and unbelievably resilient, I will grind and grind until I get there and you just got to check your ego because you don’t know everything. There are so many people who know so much more than you and the best way to build a great company is to learn everything from everyone else and then apply it. Yeah and be prepared to learn from anyone, it doesn’t matter what level people are at or what door they come in through, there’s always stuff you can learn. Everyone has something to teach you, so try and be open minded, that would be my mindset that’s helped me tremendously. Paul: Fantastic, Kimia thank you very much for being one of our first guests on this podcast.